Focus: To learn how to set up a lead magnet on your website, a step-by-step guide. Setting up a lead magnet on your website can seem a bit complex and overwhelming. In this lesson you'll learn how to add a lead magnet to your website, step by step. Lead magnets are one of the best ways to automate part of your marketing strategy. When implemented properly, a lead magnet can help you distinguish between hot leads and cold leads so you can spend more time on the people who will move your business forward. A lead magnet (also known as an Ethical Bribe and Sign Up Incentive) is a piece of content that is designed to attract new leads. The type of lead magnet varies and can include eBooks, courses, locked content, infographics and free consultations. A good lead magnet should be specific to the person who you want to attract to become a client of your business. 10 recipes would not be an ideal lead magnet if you’re trying to obtain personal training clients. People who are looking for personal training do not need recipes. If your lead magnet does not solve a problem for your client, you won’t get leads. The problem you solve and which medium (eBook, infographic, course, etc) you choose very much depends on where you intend to place your lead magnet (we’ll talk about that more in a sec). The title and content of your lead magnet should answer the questions the website visitor has THERE AND THEN. For example. If the website visitor is on your services page and looking at your pricing, they may be wondering how your services compare to the services of the other PT’s in your area. So a lead magnet that was titled “Compare the Cost of Your Local Personal Trainers” would be an appropriate lead magnet. Furthermore, you can be pretty damn sure that people who download that lead magnet are HOT leads and are people you should pay more attention to. But… if you wrote a blog about post natal pelvic floor strength, the reader would not want to hear about your services and the "Compare the Cost of Your Local Personal Trainers" lead magnet would be irrelevant. Instead, they'd more interested in “How to Strengthen Your Pelvic Floor From Home” because they're reading a blog about strengthening their pelvic floor. And yes, this DOES mean you’ll need to create more than one lead magnet. You’d think that solving any problem for a client is a good lead magnet but research suggests that a lead magnet that leaves your lead feeling like a failure can be detrimental to your business. Look at it this way: your clients already feel like they are failing. That’s why they hire you. So if you give them an insanely strict workout or nutritional programme to do, or too much information that they can’t comprehend, the lead will simply go back to doing what they were doing before because it’s easy…. NOTHING. Not only will they go back to doing nothing, but they’ll also associate your business with failure, because it’s easier to blame someone else than it is to blame yourself. And if your lead magnet is too complex, the lead won’t take any action and people often like to finish one task before they start another. 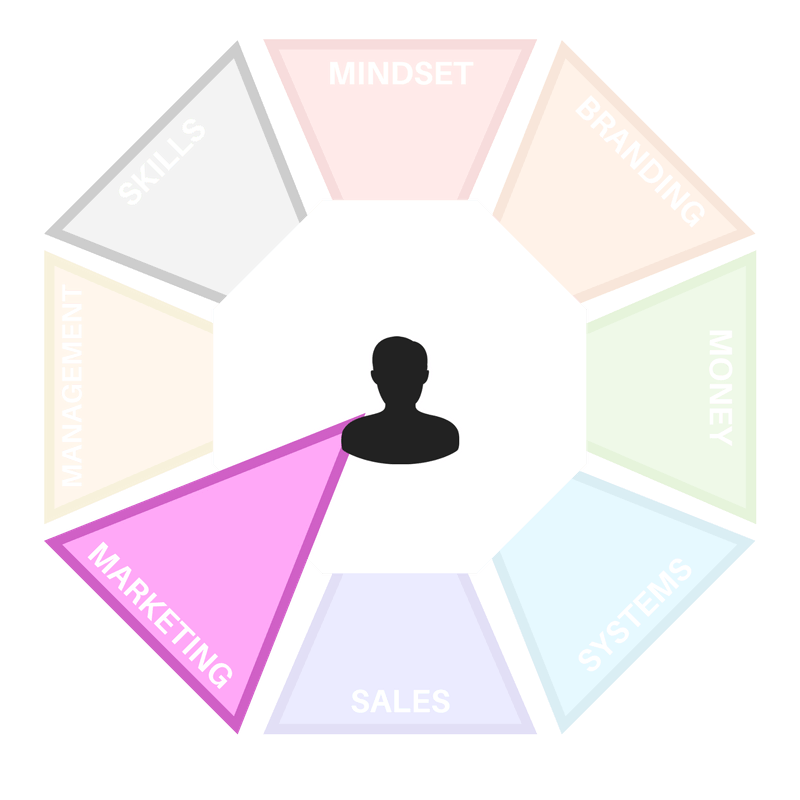 Leaving them psychologically “stuck” in your funnel. A complicated or difficult to action lead magnet can be detrimental to your business so do your research. Long gone are the days when it made sense to add a lead magnet to the top of your home page “because more people will see it”. That kind of web design is for eCommerce sites like Amazon. But PT's aren't Amazon. Good web design now focuses on helping website visitors take THEIR next logical step. And that’s usually to see your services and pricing. ​​A lead magnet is not designed to turn EVERY website visitor in to a lead. It is designed to persuade the people who are not ready to buy from you yet to exchange details with you. So if your lead magnet is on your services page, right under the button that asks website visitor to get in touch with you, the website visitor might download your lead magnet instead of getting in touch. Because it is the path of least resistance. Poor positioning of your lead magnet can result in LESS sales. For best results, use a separate landing page for each lead magnet. 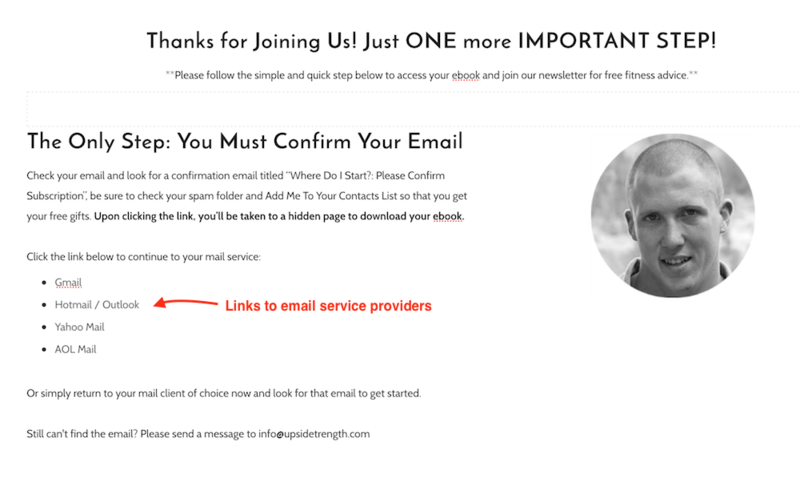 A thank you page is an incredibly important step for your lead magnet subscriber. It’s the first thing a new lead for you business will see after they give you their precious information, their email. Now that you have their email, the relationship between business and client is just beginning. The lead is giving you permission to send them your thoughts, ideas and content. Here’s how your Thank You page should look. No brainer, right? But some PT’s overlook this step because they feel as though they are giving the value so the lead should be thanking them. Wrong. You’re a service provider and someone has just given you a precious piece of their information. 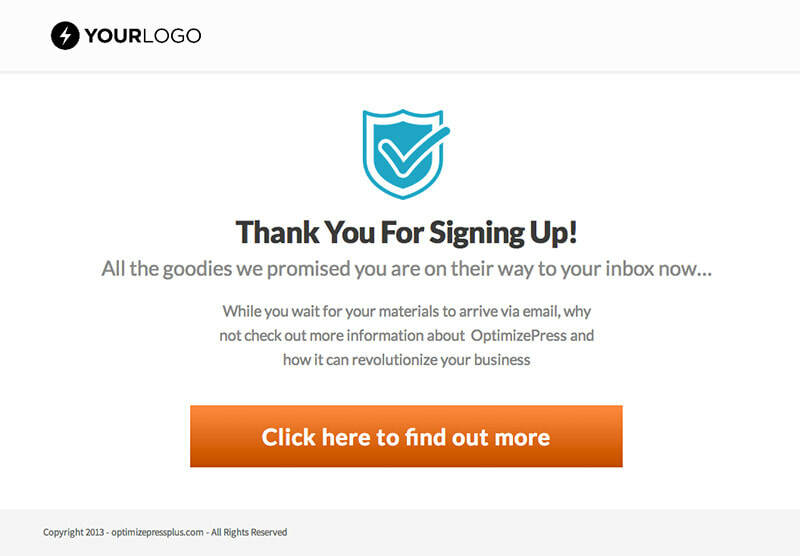 You’re going to ask the user to take another step in your funnel by confirming their email. This means the lead has to do some work so you need to remind them why it’s worth it for them to navigate to their email client and confirm their subscription with you. The double opt in process comes as standard with most email service providers like Mailchimp and Aweber. 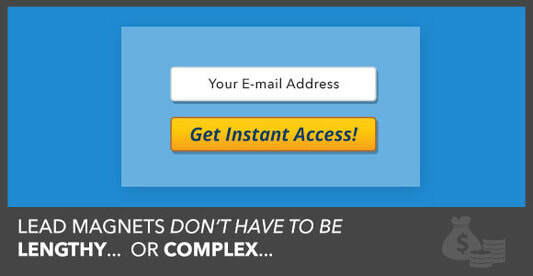 A double opt in keeps your list healthy and reduces your chances of landing in someones spam folder. But it’s a laborious task and some times confusing. Especially to the less tech savvy lead. Explain to them how they opt in to your email and how to mark your emails as important so they don’t get filed in the spam folder. Some leads might enter their email and then rush off expecting to receive their free eBook in the mail. This means they won’t double opt in or get their eBook from you. To save this relationship, add a retargeting pixel to your website and segment this page so you can send ads to people who opted in but didn’t confirm. How cool would it be for your clients to see an ad that says “You didn’t finish the subscription process to get your free [LEAD MAGNET]”. Alright, so now that you have a lead magnet, you know who it’s for, the problem it solves, the best place to position it and a thank you page. Now we need a hidden page to host your lead magnet. This is where the lead will go when they have CONFIRMED their subscription to your list. This page will make the lead magnet available to the lead and provide them with next steps. For example, when the user clicks on the “Confirm you subscription” link in the opt in confirmation email your email client sent them, they would be redirected to a page where they can get what they gave you their email for. The download page is very much like a Thank You page. There are lots of opportunities to connect with your new subscriber and provide with more value or next steps. Some PT businesses prefer to add a link to the lead magnet from within the opt in confirmation email. They’re losing out on potential business. That’s right. Thank them again for joining your list, connecting with you and becoming a part of your community. That’s what they came for. It’s time to hand it over. You can do this by either adding a link, a button or an image to the lead magnet. When the user clicks on the link, button or image, their download starts. 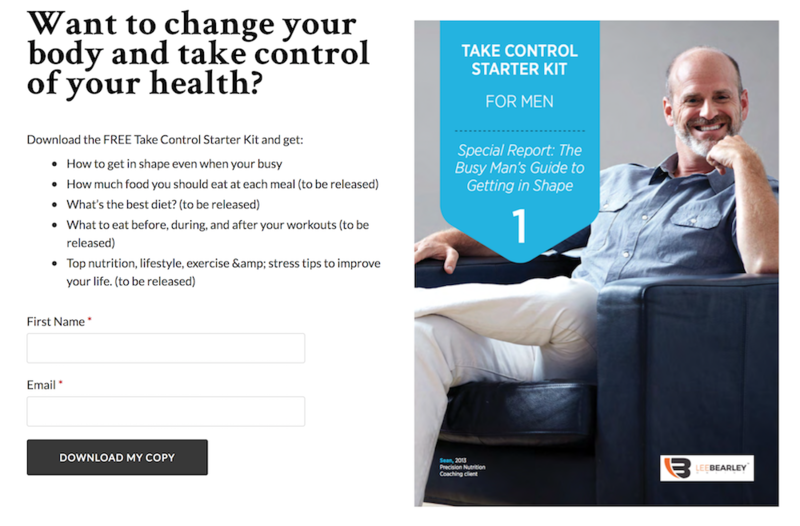 This is where a lot of PT’s who don’t use a download page are missing out. Now that the user has received what they came for, both sides of a transaction are complete. The lead has given you their information, you have given them your lead magnet. This means the lead now has a special bond with your business. Kind of like how you always shop in the same places. You know what to expect, you give them your money and they give you what you went there for. ​Whatever you choose, just bare in mind that the relationship is still young and there is still some foreplay to be done before you metaphorically jump in to bed with one another. ​If you’ve gotten this far without curling up in to a ball and crying, you’re doing great! Next up, we’re going to connect your lead magnet, email service and website together so that your lead magnet can be downloaded by potential leads smoothly and automatically. The process starts with your sign up form. 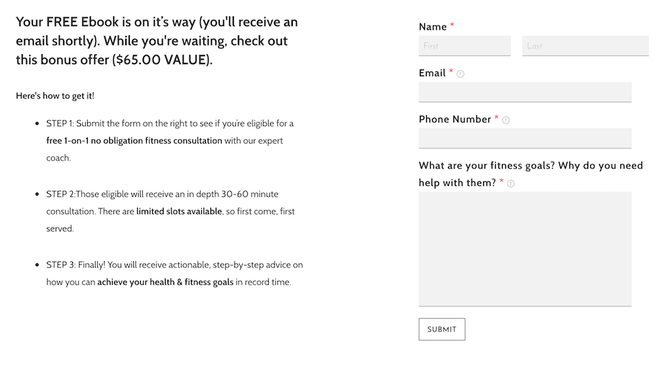 You can either embed a form on your website or use a third party app to host your form in a pop up for you. ​There’s a lot of controversy over this because a good marketer knows that the website visitor should take the least amount of steps possible. But from experience, I know that if someone is not willing to make ONE EXTRA CLICK, then they’re probably not your ideal client. Plus, that advice is for eCommerce websites and personal trainers are service providers. Completely different kind of relationship. Whatever you choose to do, just makes sure it doesn’t look too ugly and work on a mobile device. When the lead enters their email you redirect them to the thank you page you created earlier. In Mailchimp you have the option to send them an on site message that tells them to check their emails but this is impersonal and we’ll miss an opportunity to connect with the lead. Instead, use the option to redirect the subscriber to a URL when they enter their details and copy and paste your URL in to the space. This is where the lead is instructed to click a confirmation link to verify their subscription. The only thing the lead needs to do here is click that link so the default opt in confirmation email should suffice. They can either get sent another email by your email service telling them that their subscription is confirmed or they can be redirected to a download page. This is where you send them to your download page to download their lead magnet and (possibly) take you up on your next offer. The last step. Test your funnel. Make sure it’s working properly, check for spelling mistakes, use 1 or two different emails and triple check it works on a mobile device. If possible, get a friend or relative to test it for you too. The last thing you need are emails from a potential lead saying they entered their email but didn’t receive their free gift. That kind of email can literally get you out of bed at night to rectify it (I’ve been there). WHAT’S THE BEST SERVICE FOR CREATING AUTORESPONDER CAMPAIGNS? Good question. With email marketing playing such an integral role, it’s no surprise that there are various options out there. Naturally, you’ll want the very best. There is no one right or wrong answer. However, MailChimp and Aweber one of the most reputable on the market. AM I LIMITED TO USING JUST ONE FORM OF AUTORESPONDER? As a PT, you may offer an array of different services. Therefore, you may wish to send different messages to varying demographics. Those people could be separated by gender, goals, or location. Either way, knowing that the campaigns are targeted to their needs is vital. 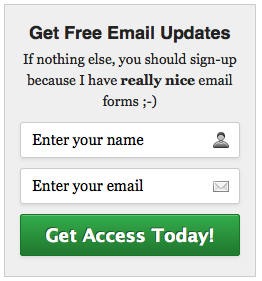 A general strategy can be utilized through a simple email sign up button. However, you could also include a ‘sign up to find more info’ button at the bottom each service. CAN I USE THE SYSTEM TO GENERATE OFFLINE SALES? Of course. For most personal trainers, local clients are king, which is why offline sales are paramount. Even though the email marketing strategy is an online venture, it can still be tailored to generate offline leads. Include a special code for customers to quote when visiting or phoning, and you can reap the same benefits. Likewise, once they’ve provided their number, you can call them to follow up interest too. ​SHOULD I ADD MY LOGO AND BRANDING TO AN EMAIL? I say no, some say yes. I say no because emails with logos and images end to get flagged as spam easier. Because friends don't send many image files to one another via email. Plus, branding makes the whole thing feel "corporate" and personal training is supposed to be personal.